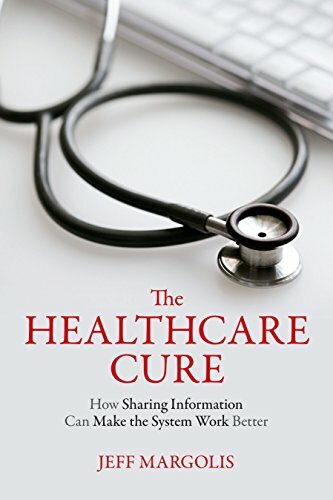 Author Jeff Margolis has made millions off of the insurance industry because his company provides IT systems for health care providers, consequently that perspective is what informs this book. The Healthcare Cure is limited to private sector health insurance and does not address any government program, nor does it attempt to delve into quality measurement for clinical care. One of the baldest statements of hyperbole is where Mr. Margolis asserts that the statistical reporting from other countries is not at robust as the United States, because our private insurance system requires highly accurate reporting and reimbursement. Mr. Margolis even goes further over the edge of reason and states that when doctors are paid a salary under national health care plans, this makes them less likely to track patient data as closely. Firstly, it would be highly interesting to see Mr. Margolis state his insurance claim accuracy statement in a crowded room of employees—all of whom have dealt with health insurance claim errors. On the face of it, it is extraordinary that he thinks the complex and often redundant system of U.S. insurance payers creates a higher degree of accuracy than an integrated health care system like ones found in France, Canada, or even the U.S. Veteran’s Administration. Secondly, health care data that is collected and reviewed for scientific purposes is based on the same statistical processes upon which sound science is based in all countries. The reason for this is scientific studies that include data from health systems are subject to certain protocols and a process called “peer review,” which means a panel of experts evaluates the study findings prior to acceptance and publishing. Therefore, a doctor—whether a Ph.D. or an M.D—is using the same scientific standards, which includes statistical analysis, as a professional in Europe or North America. In plain English, the sources used to extrapolate the findings are analyzed to make sure they are not bogus. Thirdly, in terms of comparing world health care outcomes and other data, the reports are researched and prepared by highly respected universities, including Harvard. In fact, a Harvard professor created the DALE, Disability Adjusted Life Expectancy metric, which shows how poorly Americans compare to other countries. The DALE was contracted and published by the World Health Organization, hardly a purveyor of loosely based information. Mr. Margolis does have some sound observations about information sharing, as he is a health care information technology expert. Though in his health care process model for efficiency—he uses his “Lexus” automobile as the nexus for health care excellence—it negates one gigantic aspect of providing health care. Automobiles are only expected to get people safely to their destination in relative comfort, which is far different from following a patient for his lifetime and optimizing health. Mr. Margolis’s assertion that health plans (insurance companies) have the perspective to lead change is a bit of a stretch, since insurance companies have notoriously been driven by short term financial goals. Health Maintenance Plans or HMOs have noticeably been the providers that focused on long term health outcomes. Mr. Margolis’s Follow-the- Dollar chapter attempts to explain where the money goes in health care spending, but the problem is he only refers to private insurance health plans, which excludes the government financed health care system. His attempt to explain the administration expenses of health care does not mention all of the administrative charges, such as re-insurance and reserves. He makes some apt remarks on the for-profit versus nonprofit provider controversy, but his comparison of doctors being for-profit is misleading, because anyone who works for pay is trying to make money. There are also many clinicians throughout the country who work for nonprofit organizations. Virginia Mason Medical Center physicians voted to become salaried employees of a nonprofit health care system and left their private practice accounting behind and it is consistently one of the highest rated health care organizations in the country. The integrated health care management analysis does provide a brief overview of evidence-based medicine, aligning economic incentives with health values and provider reimbursements. In the final chapter Mr. Margolis says he wants to steer clear of health care policy, but he does talk about personal responsibility and Medicare. Though Medicare does indeed have room for improvement, his assertion that Medicare recipients are just a bunch of loafers receiving government funded health insurance overlooks a basic economic principle of the market place. The reason we have the Medicare program for the elderly, the blind, and those on kidney dialysis is because the private insurance sector has no interest in providing benefits for these people. Coincidentally, a general lack of public understanding on how this country’s health care system works is also the reason Mr. Margolis states he was compelled to write this book. The Healthcare Cure is concerned with “paying health insurance claims,” while the rest of the world is focused on improving care.